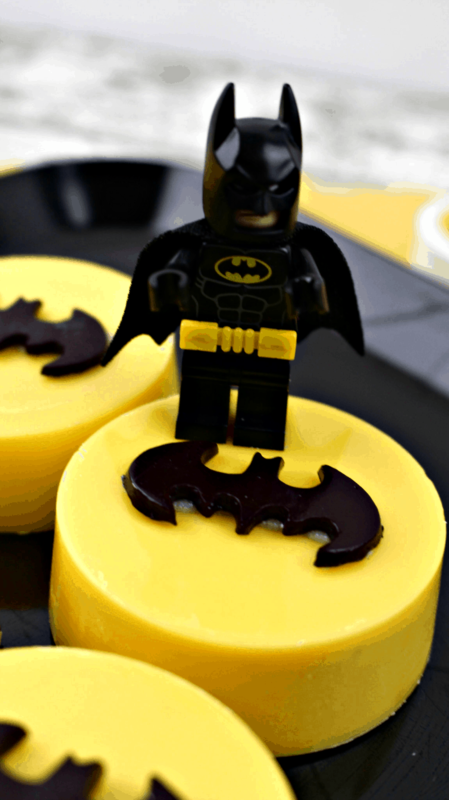 I’m sure that you have heard about the new LEGO® Batman Movie that was recently released! I am so glad that my son is still interested in Lego’s. 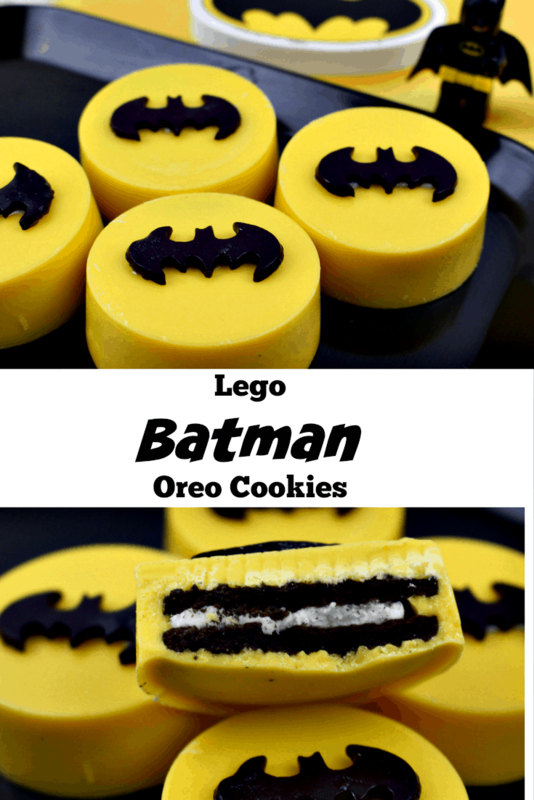 I decided to make these LEGO® Batman Oreo Cookie Recipe for him and his friends, that were super simple to put together. 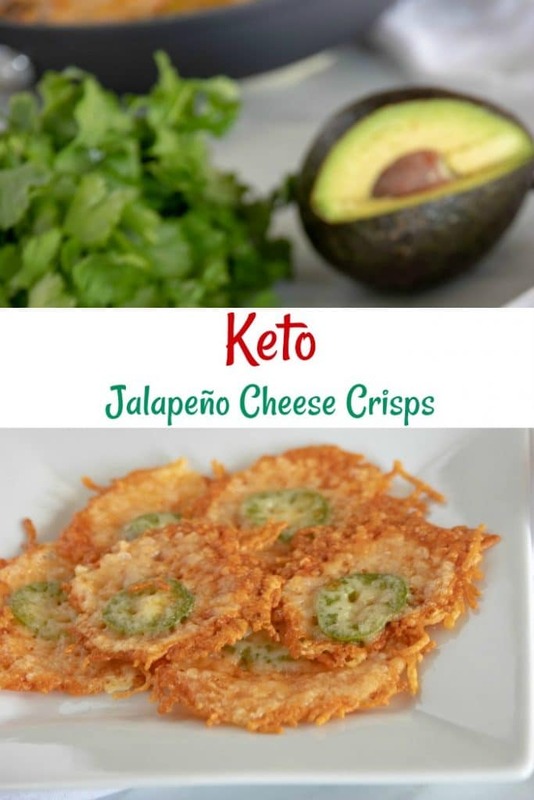 They were a big HIT! 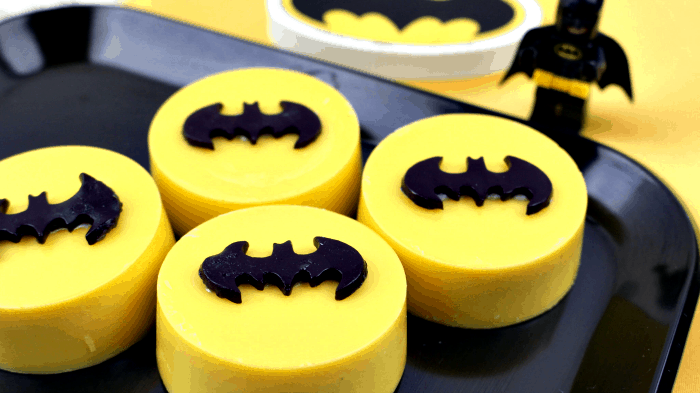 These would be perfect for a Lego themed birthday party. Hope you enjoy! 1. Line a baking sheet with wax or parchment paper. Set aside. 2. 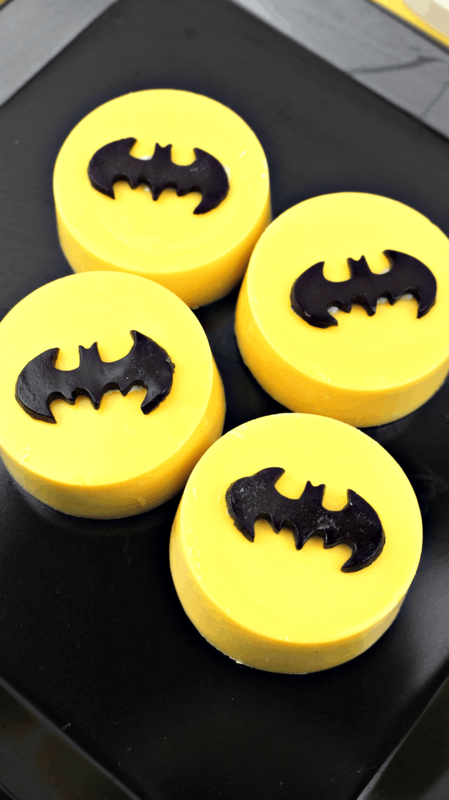 Add the yellow candy melts to a double boiler pan over medium heat. Stir occasionally until melted and smooth (about 3-4 minutes). Transfer to a small bowl for easier handling. 3. 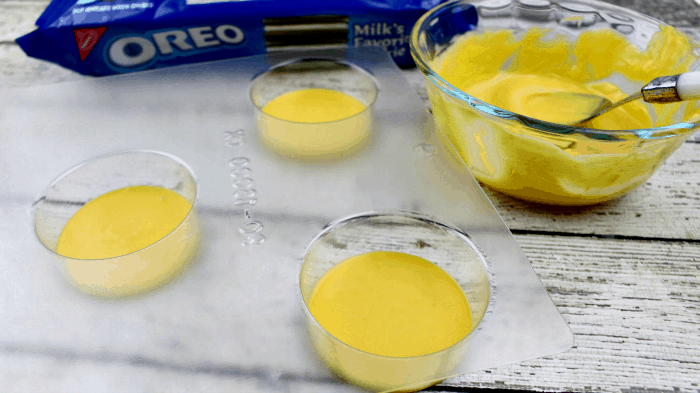 Fill each cookie mold with 2 tablespoons of the melted yellow candy melts. 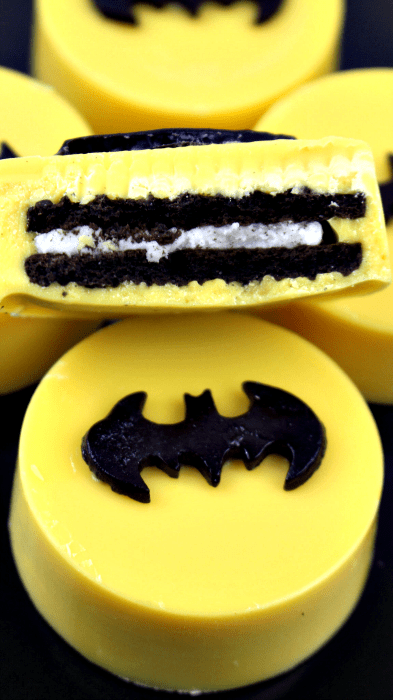 Place an Oreo cookie on top and then fill up the rest of the mold with additional melted yellow candy. 4. 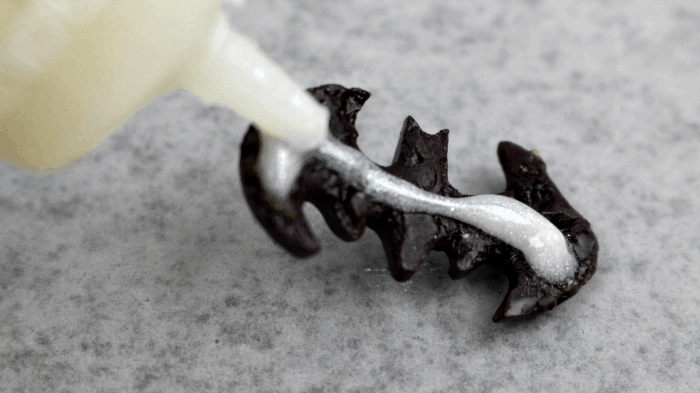 Chill for 30 minutes to allow the yellow chocolate to harden. 5. 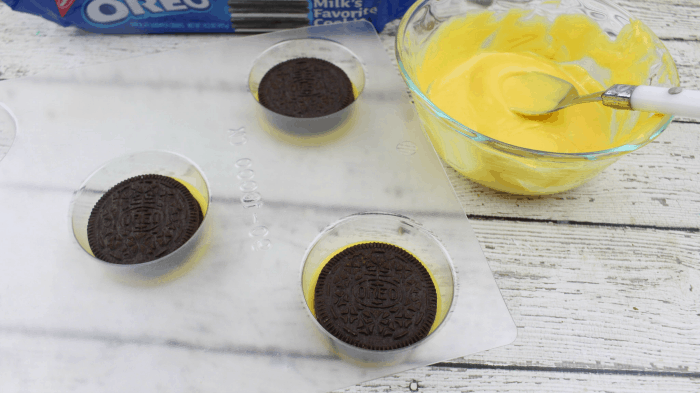 Gently pop each cookie out of the mold and place on the lined baking sheet. 6. 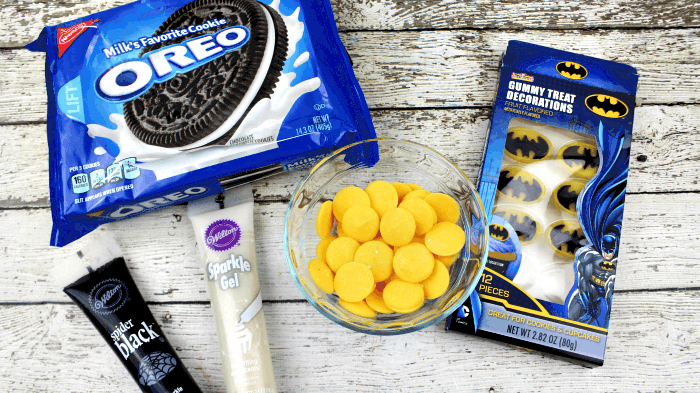 Peel apart the black Batman logo from each gummy candy and place on top of the coated Oreo cookies with a dab of white icing on the back. 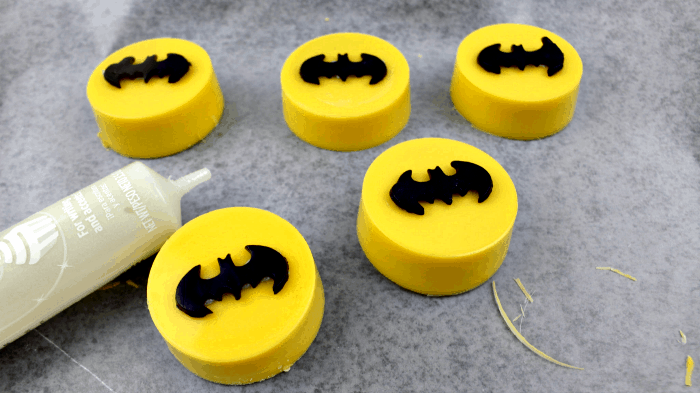 If you do not want to use the gummy logos, you can just pipe the batman logo on each cookie with a black icing tube. 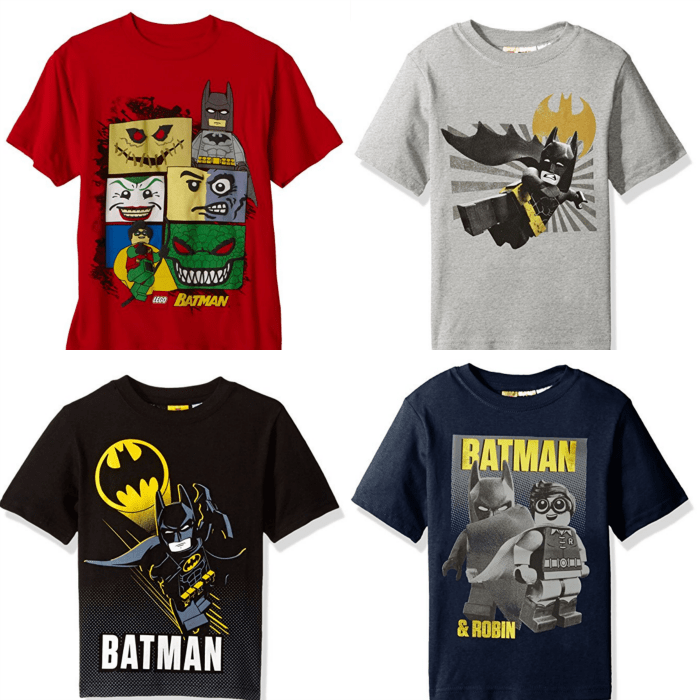 Check out these LEGO® Batman T-shirts you can find on Amazon!